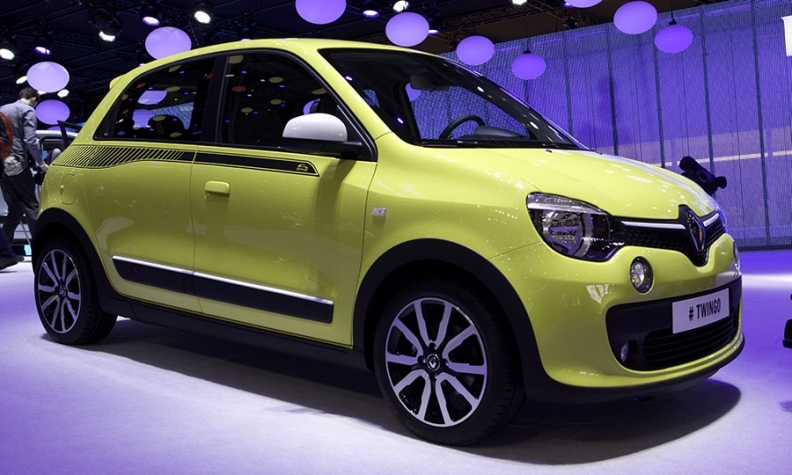 The new Twingo is forecast to give Renault a big sales boost in the key minicar segment. Sales in the European minicar market are forecast to rise by nearly 20 percent in the next three years. Analysts are bullish on the segment -- Europe's third-largest after subcompacts and compacts -- because of new arrivals such as the third-generation Renault Twingo and the new Toyota Aygo that debut at this month's Geneva auto show. Show-goers also will get their first look at the Peugeot 108, Citroen C1 and Suzuki Celerio. The segment gets another boost later this year when the new Smart ForTwo debuts. To put the product offensive in perspective, 30 percent of the minicar segment's Top 20 models will be either all-new or new-generation vehicles by the end of this year. How competitive is the segment? Thirteen of the top 20 minicars will have been added or renewed in the last four years. Because of the massive segment refresh, analyst IHS Automotive predicts minicar sales in Europe will rise to 1.3 million in 2016 from 1.1 million last year. Along with the surge of new products, another key reason for the forecast increase in the segment is that Italy, Europe's largest minicar market, is expected to rebound after last year's new-car sales dipped to levels not seen since the 1960s, according to analysts at Paris-based Inovev, who also expect the segment will get a boost from tougher CO2 limits that take effect in Europe in 2020. By offering a rear-mounted engine and a more premium feel, Renault wants the new Twingo to recapture the quirky appeal of the car's first-generation, which debuted in the early 1990s, as well as the Renault 5. "It is a modern take on the city car genre," Renault design boss Laurens van den Acker said in a statement when the Twingo was revealed last month. Renault also aims to win sales from the segment-leading Fiat 500. "Frankly, if the car has half the appeal of the 500 I'd be quite happy," van den Acker told journalists when discussing the car last year. IHS predicts that Renault will sell 141,000 units of the Twingo in 2015, its first full year of availability in Europe. If that happens Renault will have nearly doubled Twingo sales compared with 2013, according to figures from JATO Dynamics. IHS also is confident the jointly engineered and jointly produced Aygo, C1 and 108 will do well with combined sales of the trio rising to 300,000 in 2015 from about 176,000 last year. Traditionally, most minicars have been practical, low-cost five-door vehicles such as the Hyundai i10 and the Fiat Panda, but now the segment has seen a shift toward so-called lifestyle models. These sporty, premium three-door variants include the Opel/Vauxhall Adam and Fiat 500, which compete against volume minicars as well as small cars from premium brands such as the Audi A1 and the Mini range. IHS analyst Ian Fletcher said that offering just one model is the right financial move to keep costs down. "For the mainstream segment the automaker will go for the most practical option, hence five doors," he told Automotive News Europe. "On the flip side, three doors are still considered as having stylish and sporting connotations, hence the customers of premium A-segment models are likely to be orientated to these." 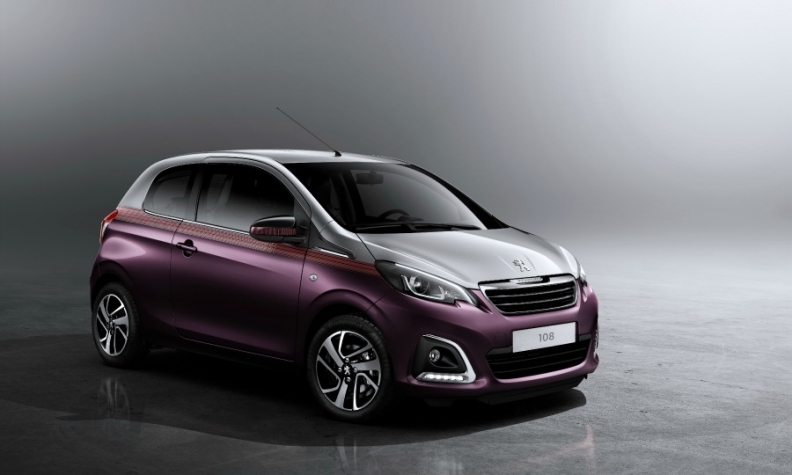 Peugeot will offer the new 108 minicar as a 3- and 5-door model. Renault only will offer the Twingo as a five door while Peugeot, Citroen and Toyota will sell three- and five door variants of their Czech-built minicars. Renault hopes that it can make its five-door Twingo appeal to customers on both practical and emotional levels by offering a wide range of ways to personalize the car, a tactic that has been successful with the 500 and the Adam. The move toward lifestyle minicars comes as the 500 last year ended the practical Panda's nine-year run as segment leader. It was the first time a near-premium model won the segment but it is unlikely to be the last as IHS expects the models to boost their share beyond the 20 percent they currently control. Said Fletcher: "We're sure to see the number of those cars considered premium rise further, particularly with automakers offering a greater number of personalization options, which is where the profit margin is."